Institutions - Valuentum Securities Inc.
We provide an independent, insightful systematic investment evaluation process that combines a rigorous discounted cash-flow and relative-value methodology with a timeliness overlay via technical and momentum indicators. Use our discounted cash-flow process by itself or blend it with a variety of other metrics we generate. Our coverage universe spans over 1,000 equities, and we make fully-populated valuation models available as part of your membership. 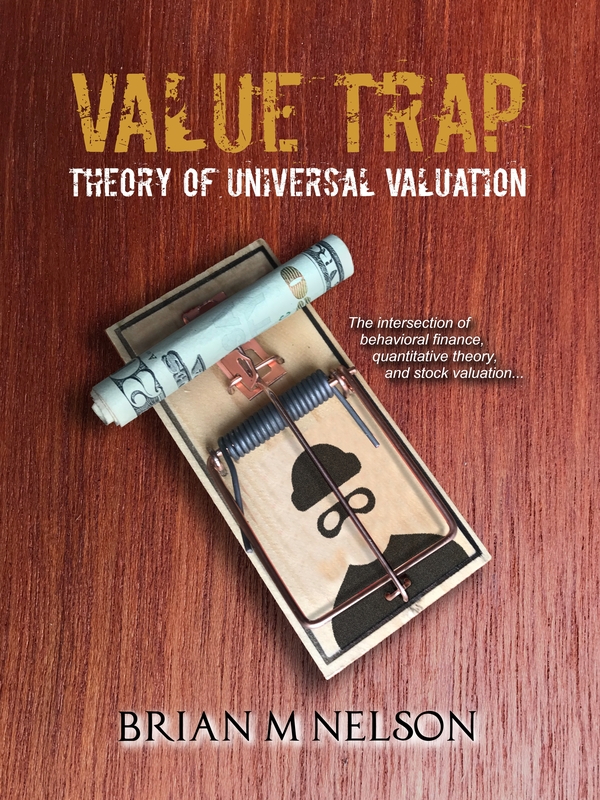 Access our valuation models, view our Best Ideas Newsletter portfolio and Dividend Growth Newsletter portfolio, and add our Valuentum Buying Index or Valuentum Dividend Cushion ratings to your process today! We offer institutional investors fully-populated discounted cash-flow models that contain at least three years of historical financial detail and five years of future explicit forecasts. Institutional and financial-adviser subscribers can access models on companies spanning our entire stock coverage universe to evaluate future estimates, or alter key inputs to generate a customized fair value estimate. Our model is academically sound and professionally-tested and includes a three stage process, with fading returns on new invested capital to a company's cost of capital over time (competition will eat away at returns over time causing economic profit creation to cease). Other research firms charge as much as $5,000 to $10,000 for such access, but we offer complete access to our in-depth valuation models for a fraction of that cost. We offer ongoing access to our Best Ideas Newsletter portfolio and Dividend Growth Newsletter portfolio. On the basis of our processes, both portfolios represent the cream of the crop in terms of investment ideas for opportunistic and dividend growth investors, respectively. The Best Ideas Newsletter portfolio and Dividend Growth Newsletter portfolio are not real money portfolios. Results are hypothetical and do not represent actual trading. President of Investment Research Brian Nelson highlights three new ideas each month to consider, one for income, one for capital appreciation, and a "short" idea (all three will be outside our existing coverage universe). Ideas are delivered to your inbox. They will never be published anywhere else. It's as exclusive as it gets. We understand the critical importance of income for the dividend investor. As a result, we've developed forward-looking dividend analysis backed by a robust cash-flow based process. 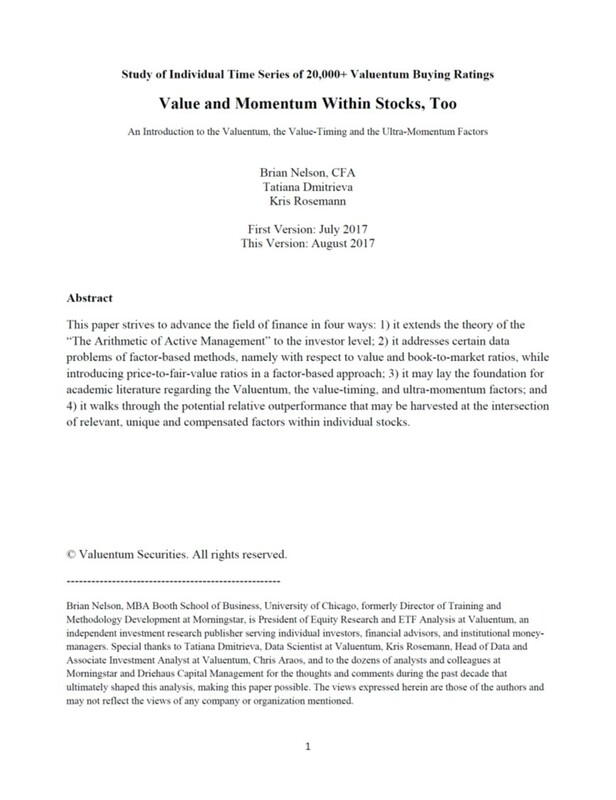 As a supplement to our 16-page stock reports, our dividend reports assess the safety of a firm’s dividend through our Valuentum Dividend Cushion™ ratio, the potential growth of a firm’s dividend by evaluating its capacity and willingness to increase the dividend, the historical track record of the company’s dividend performance, and the overall strength of the dividend by putting all of this analysis together. Each report offers our estimate of the future growth rate of the firm's dividend. No other research provider does the type of in-depth analysis that we do for our subscribers. We email our Valuentum Ideas100 publication to institutional level members at the beginning of each quarter. In each edition, we highlight 100 of the highest-quality stocks in each of the major market sectors to help you generate new ideas for a diversified portfolio. Companies that make the publication are best-in-class within their respective sectors based on our assessment of their competitive position and underlying business risk. Though quality is our first consideration in this publication, firms that make this expansive report can also be undervalued on the basis of our rigorous, discounted cash-flow process. We email our Valuentum Dividend100 publication to institutional level members at the beginning of each quarter. This quarterly publication puts the top 100 high-quality, dividend-growth gems at your fingertips. 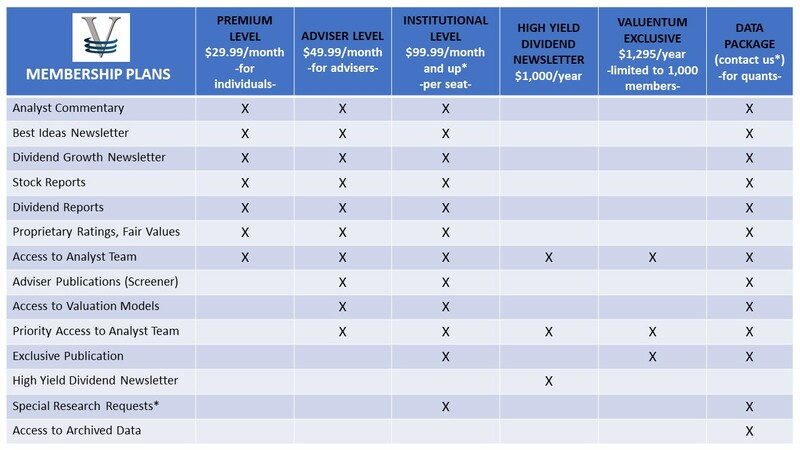 We believe the Valuentum Dividend100 to be a must-have for any income portfolio manager. 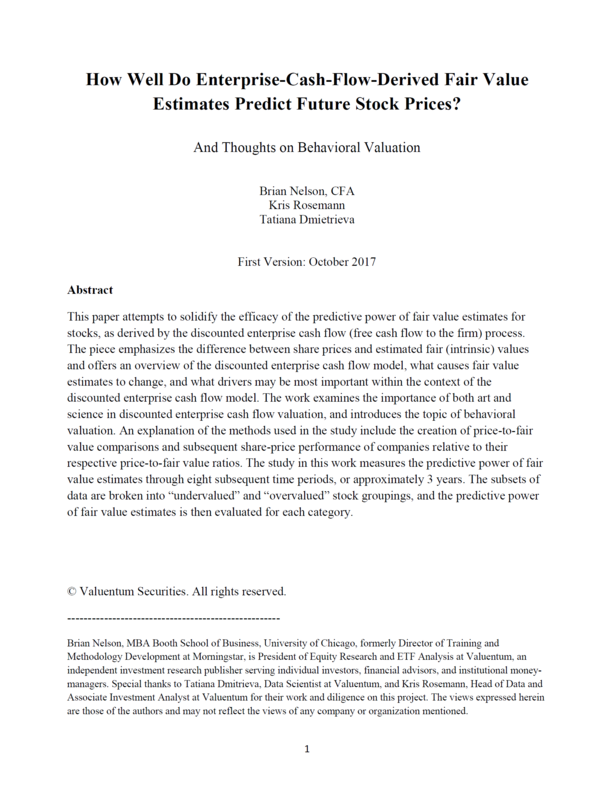 We email the Excel-based Valuentum DataScreener publication to institutional level members at the beginning of each quarter. You'll receive our proprietary data and metrics for 1,000 of the top firms in our equity coverage universe to help you pick and screen the best stocks for either you or your clients. Our Excel-based data feed and screener runs the gamut of Valuentum data points from our estimated fair value, price-to-fair value, Valuentum Buying Index to normalized earnings and EBITDA and a variety of technical and momentum measures. All stocks can be sorted by any key metric to uncover hidden investment gems. We offer customized research solutions (analysis and reports) to meet your every need. 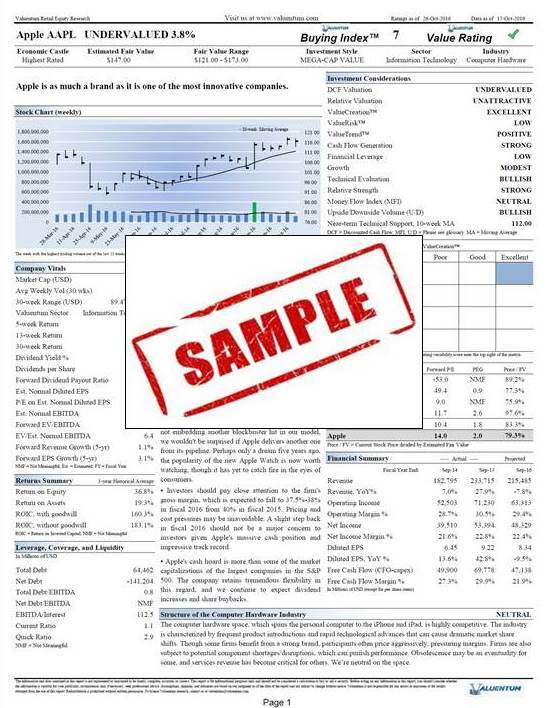 Our customized institutional reports include an assessment of a firm's competitive position, valuation, risk, stewardship, scenario analysis, and a variety of other customized analytical parameters. Our research is completely independent and focuses on addressing all of your questions, regardless of your methodology or investment process. Institutional investors have access to the Valuentum Analyst Team. 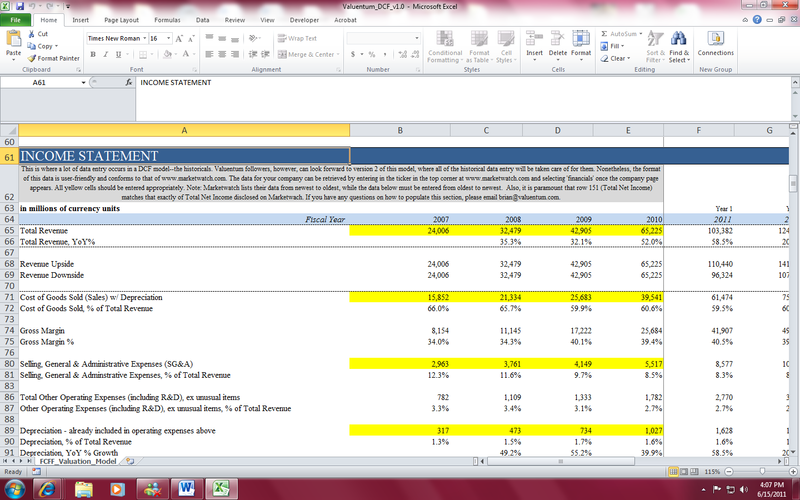 Most conversations center on industry insights and firm-specific valuation assumptions. Institutional level members can add the High Yield Dividend Newsletter to their membership. The High Yield Dividend Newsletter portfolio seeks to find some of the highest-yielding stocks supported by strong credit profiles and solid business models, but not always robust traditional free cash flow. Ideas in this newsletter offer higher-yielding opportunities, but also much higher capital and income risk. 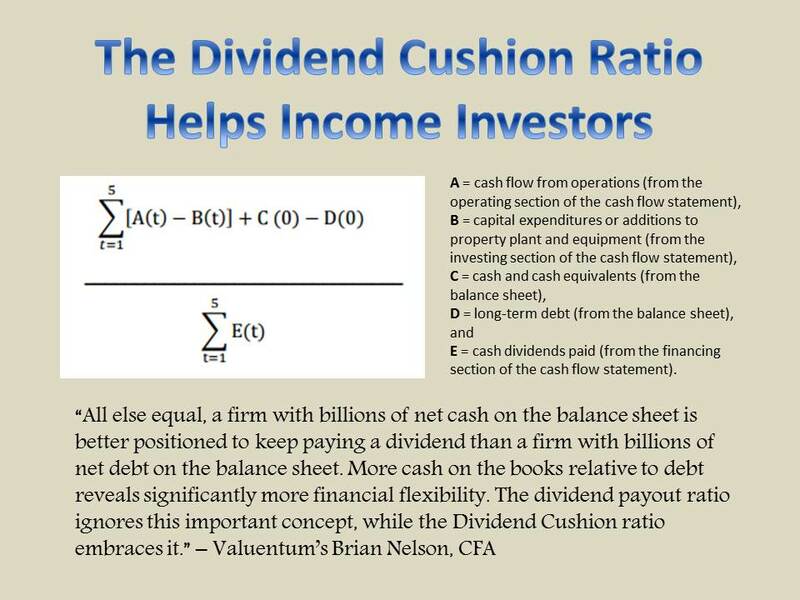 Valuentum has experience building out discounted cash-flow valuation infrastructures. Our institutional clients depend on us for our valuation expertise and rigorous, yet easy-to-use, platforms. All Valuentum institutional services are supported by our team that is available from Monday through Saturday, including market holidays. Valuentum also offers training sessions to help you get the most from your institutional subscription. Call or email with questions. To learn more about our institutional offering, please contact us to speak with a sales representative.